We all know how to take screenshot in Windows PC. And the traditional method is press “Print Screen Request” key then open paint and paste it. In Windows 7/Vista there is a tool as Well as in Windows 8 Snipping tool to take screen shot. But in this above two method to take screenshot you have to go through the step called save as. Mean first you have to take screenshot then you have to save it. 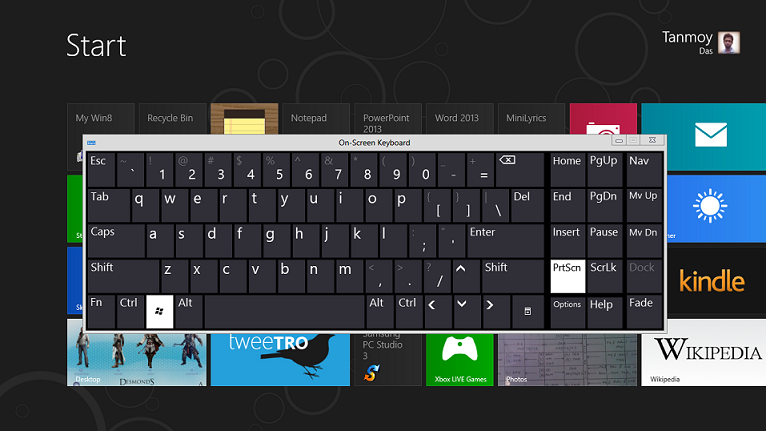 Where Windows 8 makes difference in this method. 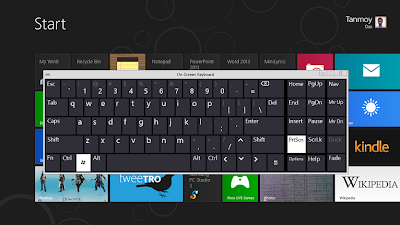 Its my duty to tell you guys that all traditional method to take screenshot are included in Windows 8. Then why I am talking about easiest way to take screenshot ? Its most easiest as you don’t need to save the screenshot. Its like take & save process. So how to take screenshot in most easiest way ? You just need to hold Win key then press “Print screen request ” key. Now open this directory C:\Users\Tanmoy\Pictures\Screenshots to get your screenshot in png format. So now you don’t need to open paint to save your screen shot.